I'd love to meet you in person, but for right now, I'll start by introducing myself. First and foremost, I am a wife of 33 years and a mom to 3 grown boys, and I wear these titles proudly. After that I am an animal lover and a photographer. I love all things art and consider my photos art as well. 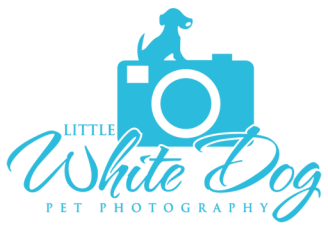 I have been photographing animals for over 15 years and in 2014 decided to start my own business. Making one last military move, we have called Sioux Falls home since 1999, and our sons have basically grown up here. As a family we've always had pets, you know, dogs, hamsters, guinea pigs, lizards, toads (all the pets boys love), but it wasn't until I started volunteering at one of our local animal shelters that my love of animal photography really took over. Those animals all had a story to tell and you could see it in their eyes. Hermes is (from what the vet can gather) half Italian Greyhound and half Rat Terrier. He is VERY fast, as he has proven time and time again when the big dogs want to play (and when he has something that you don't want him to have!) He can also jump VERY high, often times landing him on the back of the couch or on the kitchen table. (Hermes, get off the table!) Hermes is affectionately known in our family as "little white dog." He has acquired several other names as well . . . sock puppet (he has a neck like a slinky), Linus (and that dang blanket), maestro (it's the rhythm of the tail), and when we have had enough of his mischief, rat dog. My husband has a phrase that describes Hermes very well - He tells people, "He's such a good dog, (dramatic pause) except when he's not." Yep, that's pretty much Hermes in a nutshell. We love him because of (and in spite of) his quirkiness and uninhibited fun nature; we wouldn't trade him for the world. Hermes was born to be a lap dog and he seeks out warm, sunny spots. He loves to cuddle up with anyone who will have him and (like most dogs) if you scratch him, he'll be your buddy for life. He knows what day of the week it is and eagerly awaits Wednesdays when he gets to play with other dogs. (It never ceases to amaze me how he knows it's Wednesday, but I swear he really does know!) He's also the biggest, baddest watch dog there is . . . until you get close enough and offer to pet him of course. Hermes enjoys long walks on the bike trails, snoozing in the sunshine, curling up with a good blanket, and treats of any kind.